The Indian Institute of Technology Roorkee at Roorkee has culminated from the oldest technical institution of the Indian sub-continent, established as the "Roorkee College of Engineering" in 1847 and rechristened as the "Thomson College of Civil Engineering" in 1854. Due to its numerous contributions towards the development of the country for over 100 years, this temple of learning was elevated to the status of a University, i.e. the University of Roorkee, the first technical university of India in 1949. This University of Roorkee was converted to IIT Roorkee by by the Government of India on September 21, 2001, thereby further elevating it to an Institute of national importance. Over the years, it has built up and maintained an excellent academic reputation. The outstanding achievements of its alumni are a testimony to this. 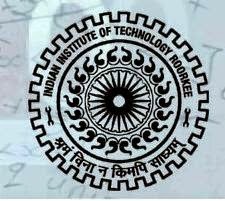 The IIT Roorkee has academic departments in the areas of Engineering, Sciences, Architecture and Planning, Management studies, Humanities and Social Sciences besides many Centres of higher education and research. In addition, IITR has a Campus located at Saharanpur and an Extension Centre at Greater Noida. All submissions have to be made online using the conference website. Authors of accepted papers will be asked to resubmit camera ready papers (maximum 10 pages) after incorporating reviewer’s comments within the stipulated deadline. One of the authors of an accepted paper has to register for the conference and personally present the paper in the conference.